Home > Insurance > What is the Difference Between Term Life and Whole Life Insurance? What is the Difference Between Term Life and Whole Life Insurance? Having worked in the life insurance industry, I often get asked what is the difference between term life and whole life insurance. It is an understandable question as there is quite a bit of misinformation in the term life vs. whole life debate. That misinformation or confusion can make it difficult for many when they’re faced with the decision of what kind of life insurance coverage they should purchase. If you read my previous post on When is the Best Time to Buy Life Insurance you know that the younger you are, the better it is for you to buy life insurance. Now we want to take a look at the two main options you’re going to be faced with when looking at buying life insurance coverage. The main difference between term life and whole life insurance coverage really comes down to a renting vs. buying mindset. 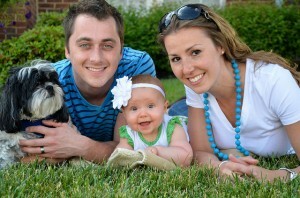 With term life insurance you are essentially renting coverage that spans a defined time period. Whether that be something short like five years or as far out as 30 years, your coverage will have an end point. If you outlive the coverage, then the insurance expires and you receive no value. With whole life insurance, it is as it sounds. It lasts your entire life. This sounds good on one hand, and I’ll cover the pros/cons of that later. As it would make sense, you are going to pay more for whole life coverage because it lasts the entirety of your life. As that presents more risks, generally speaking you’re going to pay significantly more for permanent coverage. Beyond time span and cost, the other difference between term life and whole life insurance is how the premiums are handled. With term life, the premiums pay towards the policy and that’s it. With whole life, part of the premiums go to build a small cash value that gets added to the overall value of the policy. If this thoroughly confuses you, hopefully the next section will clarify things a bit and help you with your purchasing decisions. The biggest positive term life insurance has going for it is that it is generally considerably cheaper to purchase. Those who know me know I like to get value in what I buy and life insurance is no different. As term life insurance is cheaper this also allows you the opportunity to buy more coverage which is great for someone like me. If you’re relatively healthy and younger you should have no issue finding coverage of at least several hundred thousand dollars for somewhere around $20 per month. With most term life policies having level terms for the entirety of the term it can provide great value that can’t be found in a whole life policy. Outside of those main reasons of why to buy term life insurance, the simple fact is term life coverage is straight forward. You pay a premium and get coverage. Nothing more and nothing less. As a result, this can be great for families wanting to cover potential short term needs in the event of your passing or to cover major expenses like a mortgage or college for your family. As a disclaimer, I write this as someone who does not own whole life insurance. That being said, however, I do not believe it’s a bad product, just something that gets pitched the wrong way. Whole life insurance has the same benefit of term life coverage in that your premiums are stable over the life of the policy. You don’t see premiums go up, you just pay the same premiums for your entire life, or you lapse the policy. The other main benefit of having whole life coverage is that it builds a small cash value aside from the face value of the policy. While having that additional cash value is nice, it is important to note that this cash value is not invested in the stock market or in anything you can control but is generally managed at the discretion of the life insurance company. While whole life insurance may not be a good fit for younger individuals, it can be a good fit for those who have high incomes or have a considerable net worth. Think in the neighborhood of at least $1 Million. At the end of the day, the term life vs. whole life insurance decision is one that needs to be done in light of what’s best for you. That said, in the overwhelming majority of the time term life insurance is going to serve your needs. Of course, that should be viewed in light of your specific circumstance as what is best for most may not be what’s best for you and your situation. As I pointed out in my previous post on life insurance, there are many sales reps that will use numbers to try and convince you that whole life is the way to go when it comes to purchasing life insurance. Of course not all are this way, as the “bad” ones make it easy to view all in the light. That is not the case, but it is something to be mindful of. I will say that if you are considering purchasing whole life insurance to make sure that you have your other investment needs covered first. That means things like maxing out your 401k plan at work, potentially fully funding an IRA, and even possibly educational needs of children prior to getting serious in buying a whole life policy. Beyond that, you generally would not want to buy whole life coverage before having a fully funded emergency fund and all consumer debt paid off. Essentially, you want to cover things that are going to bring you greater return and provide for you in the short term if something were to happen to your job. There are a number of differences between term life and whole life insurance, so make sure you educate yourself on them before making a purchasing decision. The difference is real money, so make sure it’s not one you take lightly. What are your thoughts on term life versus whole life insurance? What kind of life insurance coverage do you have? This post was featured on Money Smart Guides, Save and Conquer, Financial Nerd and Single Moms Income. Greg tried to sell whole life insurance for a short period of time and failed miserably because he could not even convince himself it was a good product. It might make sense for some high income people, but makes zero sense for the vast majority of people who need life insurance. Needless to say, we have a few different term policies. I can completely understand that Holly. I agree, it makes no sense for the vast majority out there though many will argue that it does. This is an excellent post for people seeking information on insurance options. It’s what people really expect from finance blogs!! And between term and whole, I absolutely think term is the way to go for me (which is what I have). Thanks Natalie! Term usually is the way to go for the vast majority out there and is what we have as well. Great explanations John!! I am with Greg in that I had a tough time selling whole life because I had a tough time “believing” in it. I think the only time I thought it made sense was in estate planning for large estates. I would hate when I would see clients with small whole life policies who really intended to have it cover expenses should they pass but the policy was so small it would barely cover funeral expenses and the policy was so small because that was all they could afford. It is really important to understand WHY you want life insurance before you actually buy it because answering the question, really does help answer which one you get. Thanks Shannon! That’s a great point of needing to understand the why behind why you want life insurance as that can help you guide what to get and how much coverage. I have problems believing in it as well. I get it for those larger estates or if you’re specifically buying a small policy to help serve as “burial coverage”, but beyond that I have a real issue in thinking it’s the right solution for most. I for one do not consider myself an expert by any means, but from what I’ve learned these past few years it seems like term life insurance is a much better deal – at least for the majority of people. I’m glad you are breaking down the difference so that people have a better understanding of the two options. I’m not either Aldo, but you’re right on…for the overwhelming majority of people term coverage is going to make much more sense. At the end of the day, an informed decision is best as opposed to one that can be led by shady sales tactics and fear. When I graduated from college, one of my friends got a job as a insurance salesman, or I should say “financial advisor” at an insurance company. He tried to sell me whole life insurance, but I just wasn’t sure about committing the money since I was right out of college. I did some research…I actually borrowed a book from the library and I remember the advice: buy term life insurance and invest the rest. So that’s the advice I follow. Although I do agree with Shannon that for certain people whole life makes sense for estate and tax planning purposes. Glad your friend wasn’t successful in selling WL to you. 🙂 Buying term and investing the rest is right on and will serve the overwhelming majority of people out there. You’re exactly right, for those with bigger estates it does make more sense. Whole life is becoming less popular because it requires commitment and short term sacrifice. The premium cost is much higher than term, and investing the rest sounds more appealing. The problem for most people is they rarely invest the rest. They reach the later stages of life without accumulating enough assets, and the term policy expires or reprices. That’s just the thing Kevin, whole life is not a good product for most for a variety of reasons. I don’t think it really has that much to do with the commitment, it’s that it’s considerably more for less coverage when they just don’t need it. That said, I agree that many might fail to invest the balance which is unfortunate. But, that’s not a good reason to buy WL.